Larry was born April 1,1923 on Easter Sunday at home. He lived out his youth on various farms in the Evansville area. He was a good athlete and played basketball in high school. After graduating from high school in May 1941, Larry found work in Minneapolis. In July 1943, during World War II, Larry entered the U.S. Navy as an Aviation Cadet. He was medically discharged in October 1944, following an aircraft accident. Larry married Arlene Korum January 9, 1946 in Minneapolis. They had two children: Vicki and Gary. Larry and Arlene were married 49 years before Arlene passed away. During those early years Larry worked as a mechanic and service manager for car dealerships in and around Alexandria, MN. Larry became an avid golfer during that time and won many honors for his golf over the years. In 1957, Larry became a Minnesota State Trooper and they moved to Breckenridge, MN and later to Fergus Falls. Larry served on the patrol for 25 years and retired July 1982. He then worked part-time driving school bus and charter coaches until he completely retired in June 1996. After Arlene passed away in 1995, he found support from the community and many friends. During that lonely time, he met Lavonne Haroldson. They were married on July 6, 1996 and were married for 15 years until cancer claimed her life. She was a delight for him and our family. Along with Lavonne came her wonderful family. After Lavonne passed away, Laura and Keith watched over him and made sure he was well taken care of. In the summer you could find Larry at the golf course playing golf with his buddies or family members. When he couldn’t golf, you could find him in his shop making something out of wood. Larry was a man of many talents. He could build, fix and repair most anything. He especially loved doing that for his family and friends. Larry also enjoyed meeting up with friends for coffee or breakfast at the Viking or Family Diner. He spent many an hour at the Viking during his patrol days and during times alone. He was such a good customer the Viking named a hamburger after him, the Larry Burger. Larry is survived by his children Vicki (Don) Thimjon of Omaha, NE and Gary Greenquist of Minneapolis, step children Becky (Lauris) Woessner and Mark Haroldson both of Ottertail, MN, Laura (Keith) Denbrook of Fergus Falls, and son-in-law Corvin Norgren of Ashby and numerous grand and great-grandchildren. He is proceded in death by his parents, Emma and Lars Greenquist, four brothers, Conrad, Wallace, Myron, and William Greenquist, 3 sisters, Leila Texer, Elin Peterson and Mary Anne Torgrimson, and 2 wives, Arlene and Lavonne. Memorials are preferred to the Lake Region Healthcare Foundation. 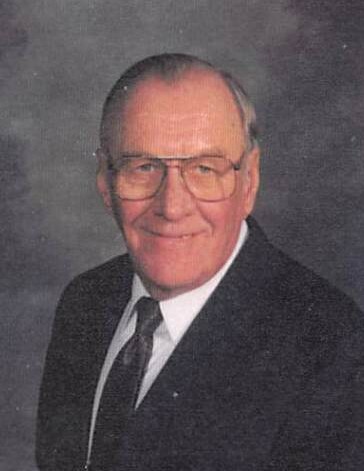 Visitation: Friday, February 15, 2019 from 5 to 7 P.M. at the Glende-Nilson Funeral Home in Fergus Falls and resuming for one hour prior to the service at the church. Funeral Service: Saturday, February 16, 2019 at 1:00 P.M. at First Lutheran Church in Fergus Falls.